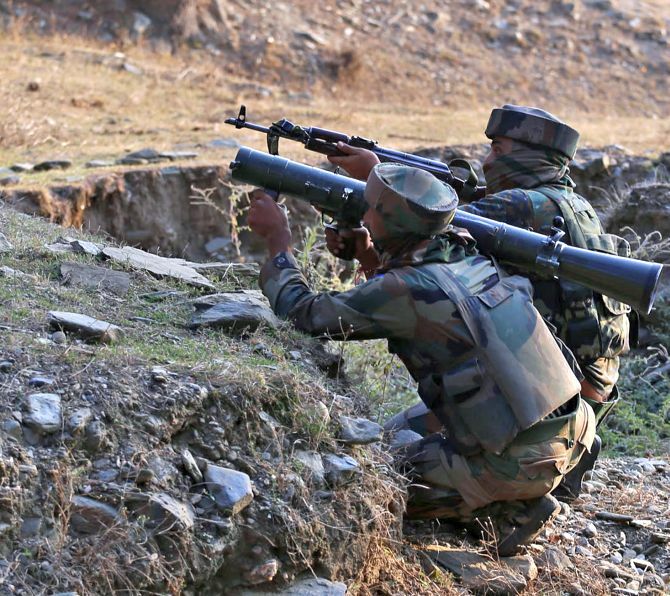 Seven Pakistani army men, including a major, were on Monday killed and four others injured as the Indian Army retaliated to a ceasefire violation in Mendhar sector and destroyed a Pakistani post along the Line of Control in Jammu and Kashmir’s Poonch district. “Pakistani troops violated the ceasefire along the LoC and resorted to shelling on forward posts in Jaglote belt in Mendhar sector early today,” a senior army officer said. The retaliation also comes after an Indian Army solider was killed in Pakistan firing along the LoC in Jammu and Kashmir’s Rajouri district on last Saturday. The action comes on a day when security forces foiled an infiltration bid near the Line of Control in Uri sector of Jammu and Kashmir, killing five Jaish-e-Mohammad militants. In a stern message to Pakistan, Army Chief Gen Bipin Rawat on Monday said the army was ready to escalate military offensive against terror groups if the neighbouring country forces it do so and asserted that no anti-India activities will be allowed to succeed in the state.